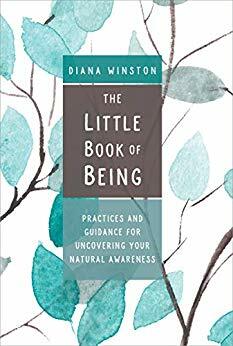 MARC announces the publication of The Little Book of Being: Practices and Guidance for Uncovering Your Natural Awareness by Winston, Director of Mindfulness Education at MARC. it via simple and enjoyable explorations to bring welcome moments of peace, connection, and spaciousness to our often distracted and stressful lives. We invite you to read an exclusive excerpt from the book at dianawinston.com.